Presented by Debra Ouyang, M.D. Dr. Debra Ouyang is a board-certified endocrinologist. She received her medical degree from Eastern Virginia Medical School, completed her internal medicine residency at Cedars-Sinai Medical Center/West LA VA Program, and endocrine fellowship at Harbor-UCLA Medical Center. Dr. Ouyang is a member of the American Association of Clinical Endocrinologists, American Thyroid Association and the Endocrine Society. She is an active member of both Community Memorial Hospital and Ojai Valley Community Hospital medical staff. 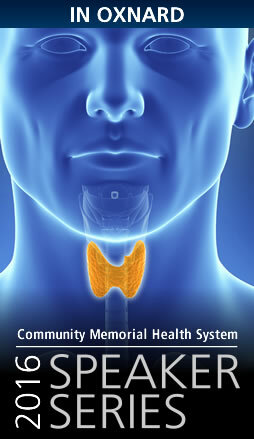 © 2019 Community Memorial Health System. All Rights Reserved.